They’re a long-term solution that is imbedded in your jawbone, just like your natural teeth. They even go your natural teeth one better, since they can’t develop cavities. 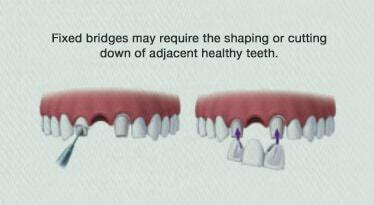 Plus, unlike fixed bridges or removable dentures, dental implants will not affect neighboring healthy teeth or lead to bone loss in the jaw. If properly cared for, dental implants can last a lifetime. Dental implant surgery is, of course, surgery, and is best done by a trained surgeon.